In a detailed blog post authored by Microsoft's Security and Enterprise Partner Director, Rob Lefferts of the Windows & Devices Group, Microsoft has elucidated some of the new enterprise focused security features coming up in the next major update for Windows 10: the Fall Creators Update. Explaining the upcoming salient security features, Lefferts describes the advancements being made to Windows Defender in extending its reach to Windows Server. He also talks about on intelligent, centralized security management powered by Windows Defender Advanced Threat Protection (ATP) and cloud based intelligence. Microsoft envisions security as a suite of comprehensive tools working together unlike the isolated toolset available today. 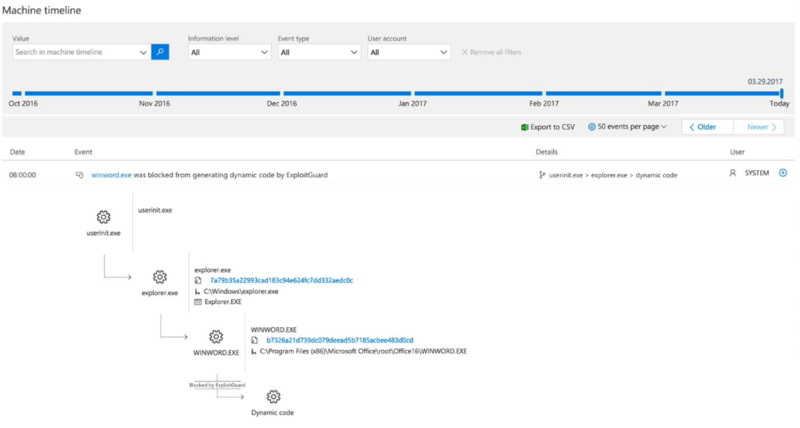 Windows Defender ATP now also bundles the Enhanced Mitigation Experience Toolkit (EMET) in the form of Windows Defender Exploit Guard (WDEG). WDEG employs machine learning coupled with the Microsoft Intelligent Security Graph to protect organizations from advanced malware and zero-day exploits. With Windows Defender Application Guard (WDAG), application-level malware will be isolated and stopped from spreading throughout the company network. Sec-Ops will then have full visibility of the threats downloaded onto the organization's PCs and take corrective action before widespread damage. The blog post also goes into detail of how Microsoft is utilizing the power of the cloud to deliver verdicts on malware even if it is totally new. The recent WannaCry ransomware attack and the succeeding NotPetya attack have surely left organizations and individuals with outdated software crying. Unlike consumer PCs, enterprises often need to validate each patch to ensure that it plays well with their existing setup, resulting in often delayed deployment of security patches. With Windows-as-a-Service (WaaS), Microsoft aims to continuously bolster its defenses against ever evolving malware — even if it irks a few (looking at you, Kaspersky).